Take action: Family reunification for all! Take action to make family reunification for all! It’s time for Canada to launch an express entry program for family reunification and to commit to reuniting children with their parents in six months or less. Canada can and must do better. Citizenship and Immigration Canada is planning a new Express Entry program for economic immigrants. For immigrants with a valid job offer, CIC will process applications within 6 months. 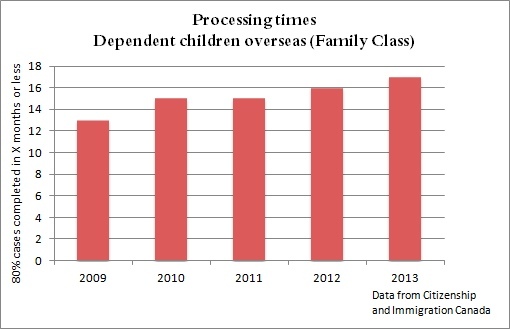 Shouldn’t children be reunited with their parents at least as quickly as economic immigrants are processed? Ahmed and Fatima (not their real names) have been separated from their mother for more than 6 years – including 5 years waiting for immigration processing. In 2009, when Ahmed was 8 and Fatima 7 years old, their mother was accepted as a refugee from Eritrea in Canada. She applied for her children – who are living without legal status in Saudi Arabia. They are living with their aunt and are not able to go to school. Finally, after nearly 4 years of waiting the visa office said that DNA tests were required to prove the relationship. In March 2014, the DNA tests confirmed the relationship. After more than 6 months more waiting, Ahmed and Fatima, now 12 and 13 years old, are at least about to be reunited with their mother in Canada. 2014 was the 25th anniversary of the Convention on the Rights of the Child. As a signatory to this Convention, Canada has a legal obligation to deal with applications to reunite children with their parents “in a positive, humane and expeditious manner”. 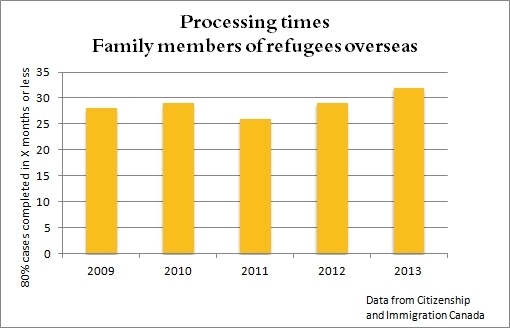 Canada has not been fulfilling this obligation: processing times have been too long and are getting longer. 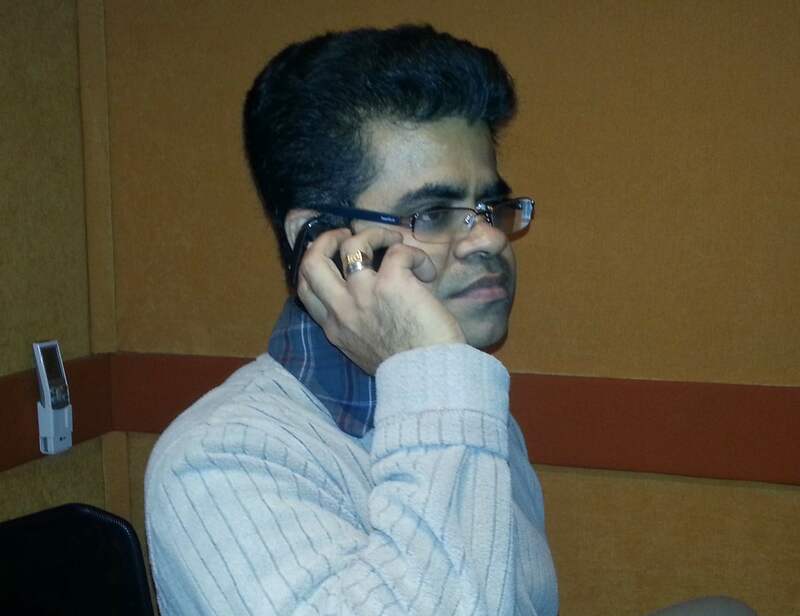 Maran has been separated from his family since he fled Sri Lanka over 5 years ago. It took more than 3 years before Canada recognized him as a refugee. He applied to be reunited with his wife and young daughter in July 2013. He was later told DNA tests were required to prove the relationship. In Sept 2014, the DNA tests confirmed the relationship. Maran’s daughter was 5 years old when he last saw her. She is now 10 years old. Maran fears that his family is at risk from the same persecutors that targeted him. 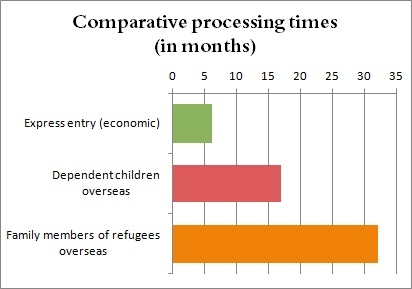 The processing time for refugee family reunification cases in Asia is 28 months. Hagos has been waiting nearly two years to be reunited with his wife and young son, Teklay, left behind in Ethiopia. 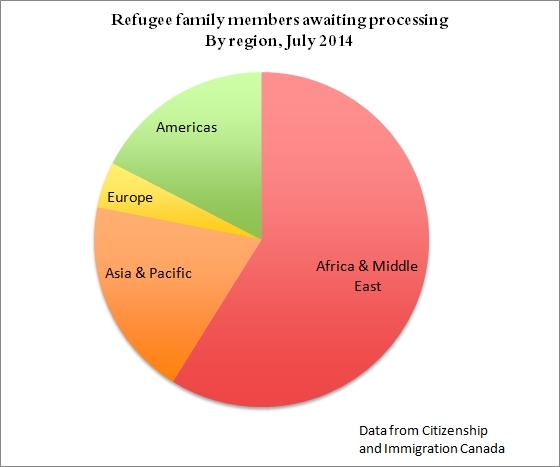 Hagos arrived in Canada in 2011 and was very quickly accepted as a refugee. He applied for permanent residence at the beginning of 2012. In February 2013 he was informed that his wife and child can begin processing, so they sent in their applications that same month to the visa office in Nairobi. Since then there has been no movement from Nairobi, although Hagos himself became a permanent resident in May 2013. When Hagos or his wife try to get answers, they are told: “the file is in queue for review”. Teklay was less than a year old when his father, Hagos, was forced to flee. He is now four years old. He doesn’t understand why he can’t be with his father. He communicates with Hagos through the internet and asks him “When are you coming out of the laptop?” He asks his mother why other children are picked up from the kindergarten by their father, but not him. 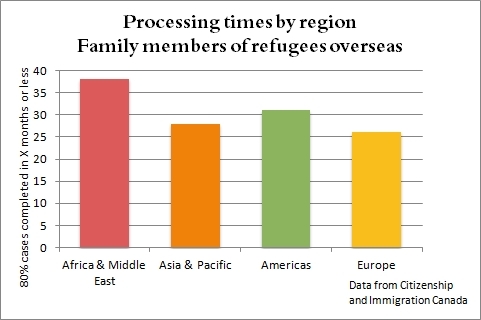 Most family members of refugees awaiting processing are in Africa or the Middle East. * Citizenship and Immigration Canada expresses processing times in terms of 80% of cases being finalized within the 12 month period. Unless otherwise stated the processing times are for 2013. This page contains information licensed under the Open Government Licence – Canada.